Getting divorced is a huge decision for any couple. Unfortunately, once that decision has been made, a couple will have to make many more. One of the first decisions they will need to make is whether to get a contested or uncontested divorce. Uncontested divorces have many advantages but are still not possible for many couples. It is important that each spouse meets with his or her own Washington Township divorce lawyer to discuss what arrangement is best. Any Michigan divorce will involve a number of issues. These include property division, child custody, child support, possible spousal support, and more. When a couple can agree on all of these terms, they can get an uncontested divorce. An uncontested divorce is one in which the couple simply agrees and has a Washington Township divorce lawyer draft the papers outlining the terms of the divorce. Even in an uncontested divorce, it is still necessary for a judge to finalize the agreement. Only the plaintiff, or the person filing for divorce, must appear in front of a judge in these cases. When the terms of the uncontested divorce are fair, a judge is likely to approve the agreement. However, if a judge finds the agreement unconscionable, or extremely unfair to one party, the judge may not finalize the agreement. Uncontested divorces hold many advantages over contested divorces. They are much more amicable, as the couple agrees on all the terms and so there is little to fight over. This respectful and honest environment is beneficial to the couple, but also fosters a more positive environment for any children involved in the divorce. In addition to this, uncontested divorces are also much quicker, and much cheaper, than contested divorces. A contested divorce is one in which at least one spouse contests, or challenges, one or multiple terms of the divorce agreement. Contested divorces involve much more than a simple agreement between the two parties. 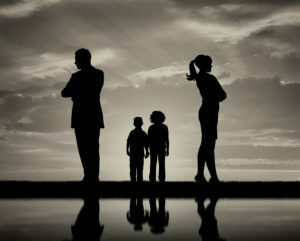 The couple may go through mediation, collaborative divorce, or even a lengthy litigation process in Michigan family court to finalize the divorce. Due to the fact that the couple cannot agree, contested divorces are often adversarial. Issues such as child custody and property division are often topics on which people have strong opinions. While each spouse should always have his or her own attorney, even in an uncontested divorce, it is crucial that each spouse has a Washington Township divorce lawyer by his or her side during a contested divorce. An attorney will fight to get the client the most favorable terms possible. A lawyer can even act as a middleman between the two spouses, limiting the amount of time the arguing couple spends together. Contested divorces are much more costly, as there are many fees involved with court, mediation, and collaborative law. If the divorce goes through litigation, it could also take months before it is finalized. Uncontested divorces are often considered the ideal solution, but this is not always the case. When the marriage involves abuse or one party does not fully disclose all property and assets, an uncontested divorce is not the best option. These are just two examples of when an uncontested divorce is not possible. Anyone wishing to get a divorce should meet with a divorce lawyer in Washington Township who can advise on the best solution for their specific situation. If you are considering a divorce, contact the experienced divorce attorneys at Iafrate & Salassa, P.C. We will review your case along with all the options available to you. When a contested divorce is necessary, we will represent you throughout every step of the process to ensure you get the most favorable terms possible. We offer free consultations, so call us today, and we will begin discussing your case.